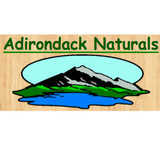 Welcome to Adirondack Naturals. We have been in the businesses making wood doors and rustic accessories for more than 20 years. Our interior doors and exterior doors are designed to compliment your log, country style, or timber frame home. All our products are hand-crafted in our shop in Queensbury, NY. Our doors are made with real wood, no finger jointing, veneers, or particle board core’s. Our doors are constructed of kiln-dried furniture grade wood (eastern white pine and hardwood available) and joined with traditional mortise and tenon joinery, much the way they would have been 200 years ago. Rugged construction assures their ability to stand up to daily use by modern families, who can be every bit as abusive as hostile Indians or Redcoats. Because we build all of our doors in our shop in upstate New York of solid wood, custom door sizes and designs can easily be made and short lead times can easily be met. If you can picture it we can build it. Unless otherwise arranged, the doors are shipped as unfinished slabs, requiring only light hand sanding before being finished to compliment your home. We also offer our interior doors and exterior doors pre-hung for your convenience. Custom & curved doors, designed and built in upstate NY. From self-schooling in hand woodworking tools to the introduction of laser cutting and engraving technology in 2002, Tom's only requirement is to do the best work possible. 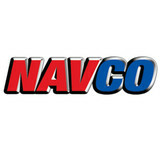 NAVCO…RATED #1 BY AREA CUSTOMERS! NAVCO is dedicated to meet or exceed homeowner’s expectations year after year! To show their satisfaction, Capital Region customer’s five star ★★★★★ reviews have helped NAVCO to achieve an A+ rating from the BBB, a Pella Window Certified Contractor listing and winner of the prestigious Angie’s List Service Award for four consecutive years! 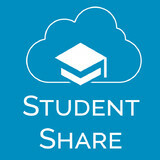 Please, take a moment and read our testimonial page to see for yourselves. To insure your new or replacement window, door, gutter, siding or deck project meets or exceeds your expectations, be sure to talk to the home improvement specialists at NAVCO. No job is too big or too small…and we NEVER use subcontractors. We are a Marvin & Integrity Window Doors Showcase dealer. We have full window and door showrooms in Swanzey and Nashua New Hampshire. founded in 1955, is a distributor, dealer and installer of fine windows, doors and hardware in the greater Capital District and Hudson Valley regions of New York State. Our company's strengths in design and practical solutions are rooted in years of experience dedicated to providing windows, doors and hardware for many types of buildings - from historic to modern and from fine estates to humble abodes. Our aim is to offer the best solutions to fit our customers' needs, bringing effective organization, depth of product knowledge, breadth of product offerings, and the care for promoting commerce with positive actions. Sales consultant for window and door retailers. From compromising your homes security to increasing heating and cooling costs, an improperly installed or damaged door can cost you. Exterior doors, such as front doors, need to be tough against the elements but easy on the eyes; interior doors need to blend in with your existing aesthetic, but also function well for each room they are selected for. Needless to say, door decisions can be daunting; luckily, door dealers and installers in Manchester Center, VT can help you select, design and install doors that are perfect for your home! What kind of services do Manchester Center door dealers provide? Door dealers are responsible for a variety of services, including door installation, replacement, door repair and custom door design. If you need a new door, Manchester Center, VT door dealers will help you determine what kind you need, as well as shape, color, size and more. From barn doors to French doors to front doors, these professionals can help you choose, install and maintain your door investments. Wood doors are beautiful, versatile and tend to be the most popular choice for both interior and exterior doors; they are easy to custom build, and include oak, cherry, walnut, mahogany, maple, fir and pine. Some standard wood doors have MDF cores wrapped in wood veneers, which minimizes the chances of warping as real wood expands when wet and contracts when dry. If your heart is set on a wood door but you think the Manchester Center, VT climate might cause it to warp, talk to your door professional about a furniture-grade veneered door. Aluminum doors have an insulated core and come in a variety of colors and finishes. With a baked-on enamel finish, they won’t rust or need repainting, and many come with a 20-year warranty. Next to wood they are the most expensive and have to be custom-made. A Manchester Center, VT door dealer can help you find a reputable aluminum door manufacturer. 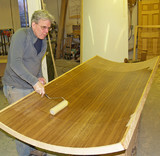 Find door dealers and installers in Manchester Center, VT on Houzz. Look in the Professionals section of our website and search for Manchester Center, VT door dealers and installers. Read reviews, look at project photos and see how a pro can help with your home improvement project.